With summer fast approaching the northern hemisphere, swimming and other fun in the sun is becoming the topic of the day. Perhaps some new beach gear is also on the shopping list for the kids and kids at heart. These customisable cartoon style beach towels will add some fun to any aquatic or beachside activity. 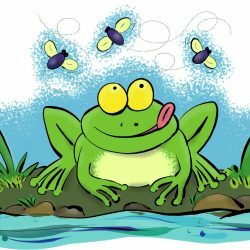 The frog factory is now on Red bubble! Although my main store is at Zazzle, I have just opened my store at Redbubble so customers can also find us there. This store is more art focused so there is no ability to add text or make changes so for that please visit my Zazzle store instead.